Roses blooming in Marin Country Mart, May 2017. Erica Tanov houses a beautiful selection of small brands from around the world along with their own line. Image of the Marin Country Mart store courtesy of Erica Tanov. 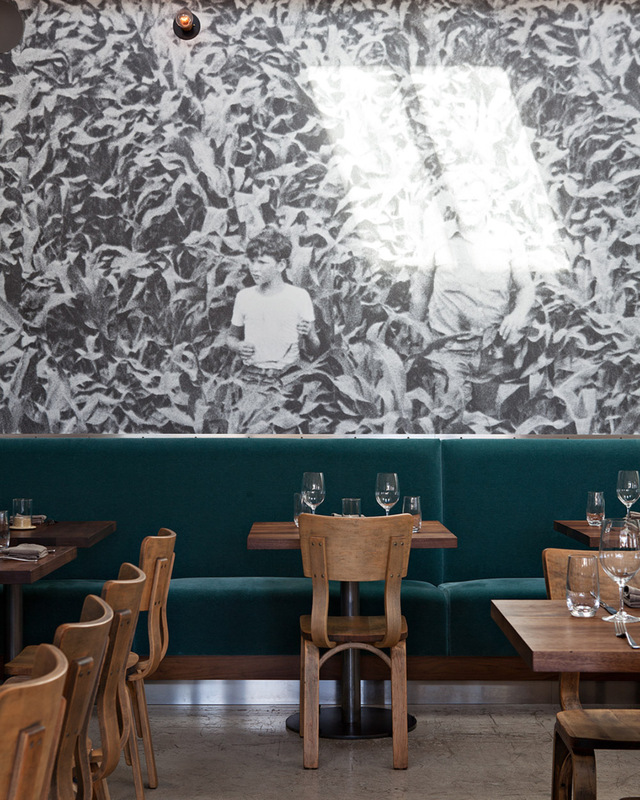 Regardless of the grand size of the restaurant, Farmshop serves fresh, wholesome meals with a true hand-crafted feel. Image credit: Mariko Reed. 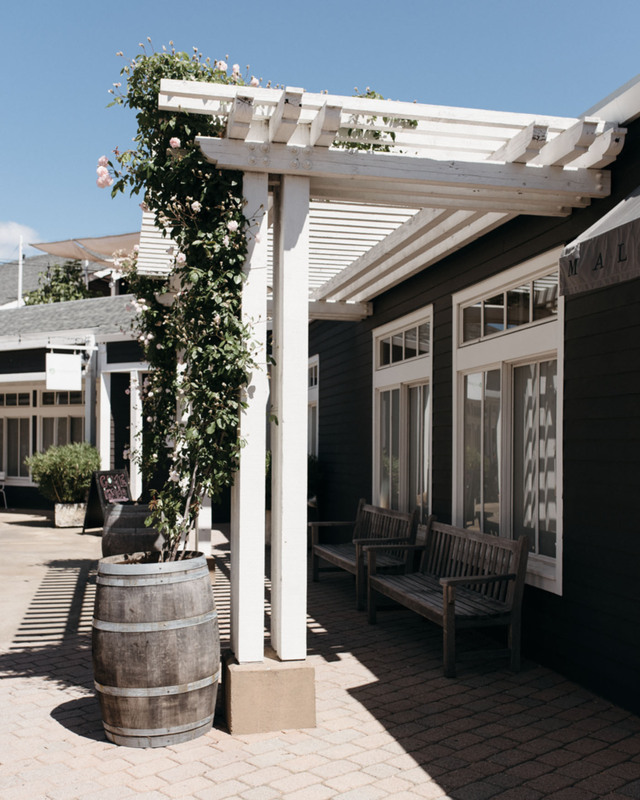 If you want to experience an elegant version of America’s traditional shopping destination – the mall – try Marin Country Mart in Larkspur. If you do not want to drive there, take a ferry from San Francisco. Marin Country Mart is a small and pittoresque outdoor mall with a strictly curated selection of shops, cafés and restaurants. Along with permanent shops, they a Farmer’s Market on Saturdays from 9am to 2pm, year around, rain or shine. So even if you are not there to buy groceries, you can always buy snacks. In fall, don’t miss the fresh nuts. In spring and summer, berries. On our stroll last Saturday, we got organic strawberries at the market, t-shirts at James Perse, books at Diesel, A Bookstore, dog toys for Hilma and her friend at George and lunch at Farmshop. 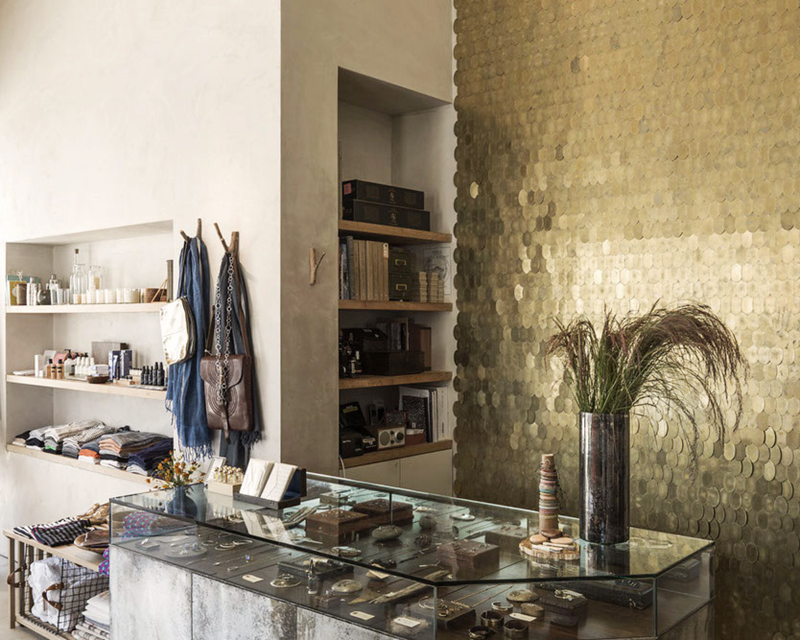 For original clothing, cosmetics, jewelry and home goods there is Erica Tanov’s dreamy store, a must on every visit. I hear Jenni Kayne is opening soon.